Material of the pen: brass, leather wrapped. logos can be silk-screened or laser engraving. Ball pen with leather barrel, shiny chromed metal clip, part,tip. twist type. Roller ball pen is available as well. 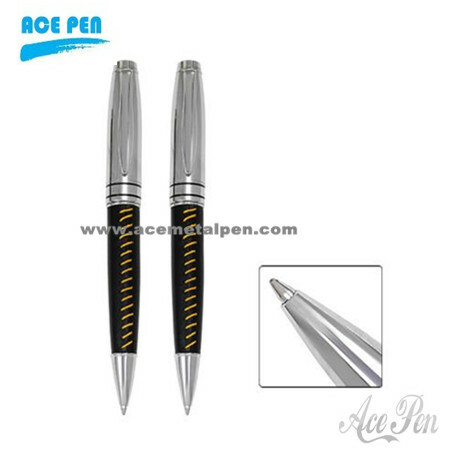 Rollerball pen with leather barrel, shiny chromed metal clip, end ,tip, cap-off type. pen box made of leather or wood or plastic,paper for your choice.